We hosted dinner guests from India tonight. Jordan and Nicole. 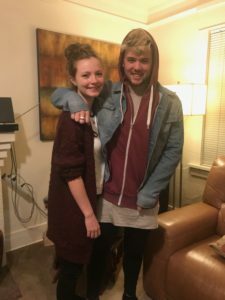 Missionaries’ kids who met and married in India and are relocating to New Zealand. Early 20s and so precious. Jordan is a gifted musician/artist and Nicole is a photographer. It’s so cool to see your friends’ kids grow up and ‘adult.’ Kind of weird really, when all you remember is the little ‘rugrats’ they used to be and now – voila! They’re carrying the torch far and away! So this is what I made for dinner tonight. Comfort food, the kind of meal I’d serve my own kids if they were on the road and wanted home cooking. Chicken Schnitzel is a dish I learned while living in Australia – boneless chicken breasts pounded and dipped in egg/unsweetened coconut milk and breadcrumbs with spices then fried in butter and olive oil, mashed potatoes with sour cream and coconut milk (unsweetened), steamed carrots and corn and a green salad with Asian dressing. All organic. YUM. Here’s a pic of the schnitzel. So easy. Highly recommend! 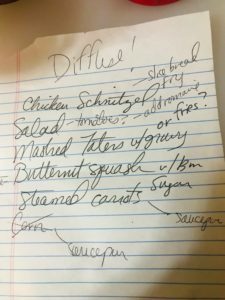 And…made the mashed potatoes in the instant pot – ohemgee I saved so much time and labor! Below is the note I scrawled quickly when I was planning for our meal. It was a whirlwind day and I didn’t want to forget anything at the last minute so I made a list in the morning to revisit throughout the day – that’s how I roll. I always try to make a detailed list when I’m not stressed out because by the time guests are about to arrive, I’m sure to forget a detail. (One time we all finished dinner and a major dish I wanted to serve was still in the fridge ;(( that’s a drag. This never happens with a list. 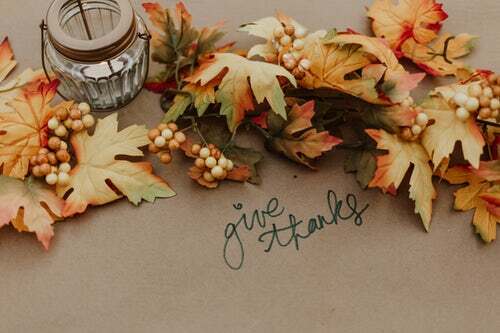 So….drumroll please…here’s my Thanksgiving Checklist. Not a fake but the real deal I use every year to refer to for delegating, shopping and preparing. I tweak it along the way as needed. I don’t just ‘wing it’ on where people will sit or where the buffet will be or what they’ll drink out of etc. etc. Planning ahead brings peace to the entire event. If I need to borrow tables, chairs or TV trays, I have time to consider that. We always serve buffet style to facilitate feeding a crowd – I honestly love buffet style for most meals when there are more than 4 people eating. 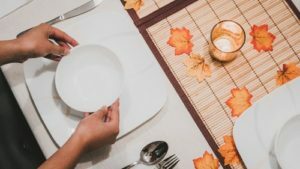 Menu to feed 20 adults-planning enough food for second rounds and hang out time! Sunday: begin thawing turkey in fridge. double check list to be sure I have all necessary food items and paper goods handled. Tuesday: bake cornbread and set out with white stuffing bread to dry. Clean bathroom, dust and vacuum. Thank you for reading, I’m truly honored. 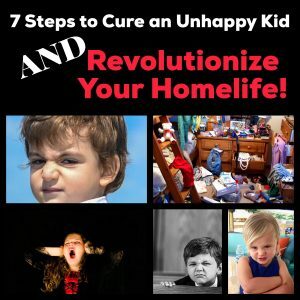 If you’d like to read more, subscribe for my exclusive content and grab my TRANSFORMATIVE freebie, 7 Steps to Cure an Unhappy Kid and Revolutionize Your Home Life by clicking HERE.